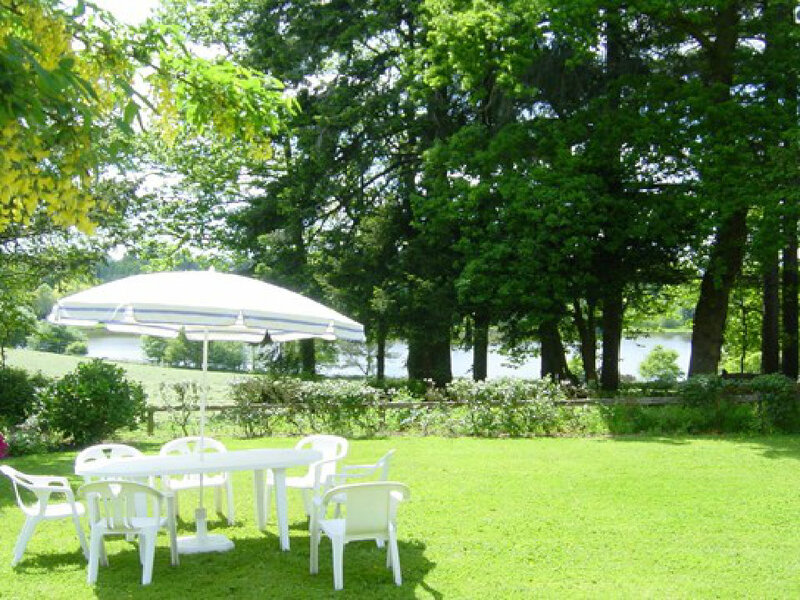 1 of a group of 3 beautiful stone lakeside cottages with shared pool. 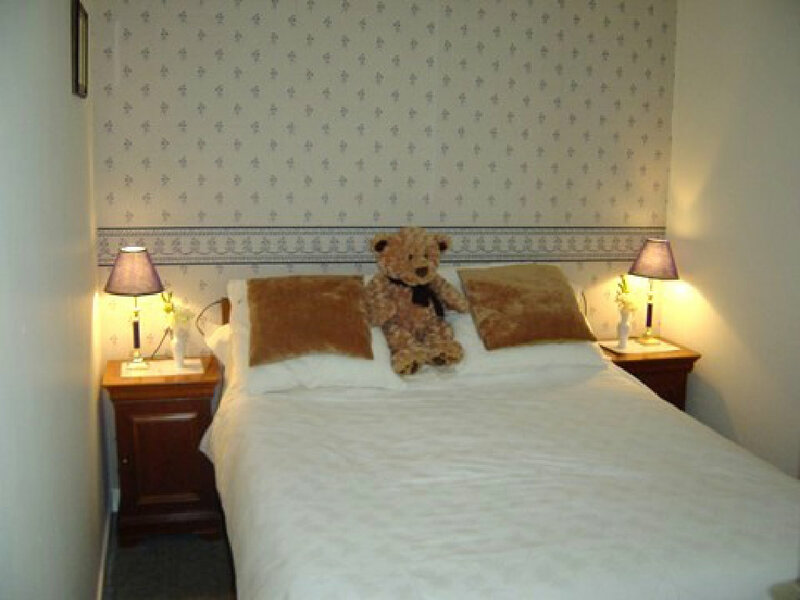 Chatignier Cottage (8): the largest of the holiday cottages has 4 bedrooms that sleep 8. 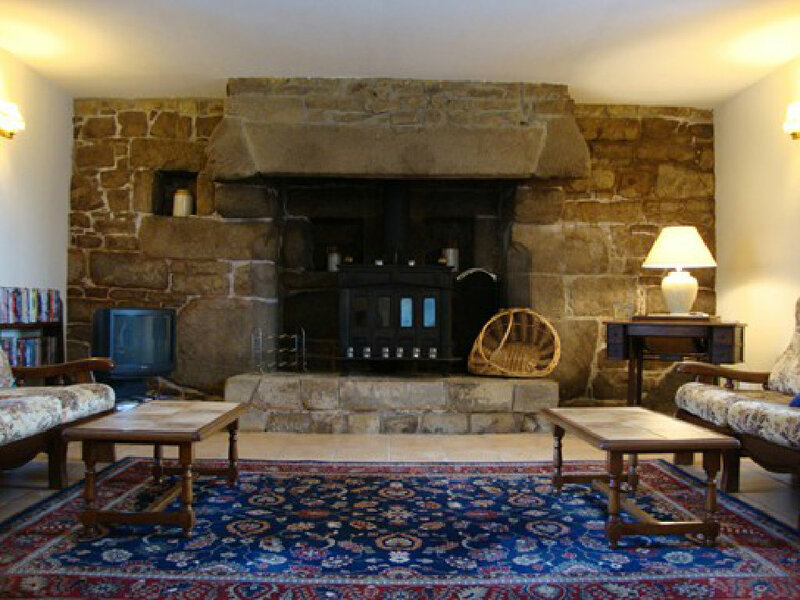 On the ground floor there is an open-plan lounge with a superb original exposed stone fireplace filling one wall, a separate dining area and a fitted kitchen. Also on the ground floor is a double bedroom and shower/toilet. The open tread stair leads to first floor where there is one further double bedroom, and two twin bedrooms. Family shower room. All bedrooms are carpeted. Outside is a private garden with BBQ and garden furniture. 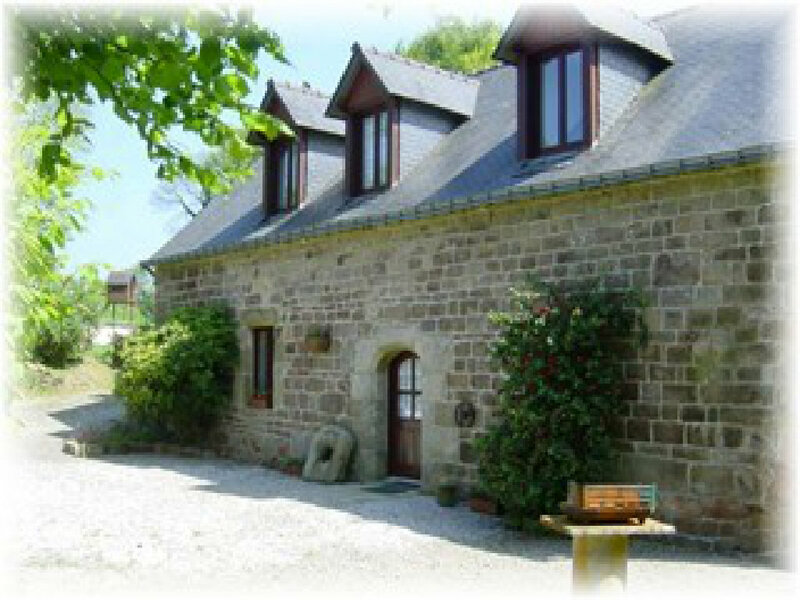 Ground floor is open plan in the traditional Breton style. Roof beams, trusses and original stone walls are exposed throughout. The kitchen is well equipped, has a gas full cooker, microwave, washing machine, fridge, coffee maker. Heating is by wood burning stoves and electric wall heaters. There is wheelchair access but not to the shower room and toilet, so please be aware that it is only suitable for those with slight mobility problems. 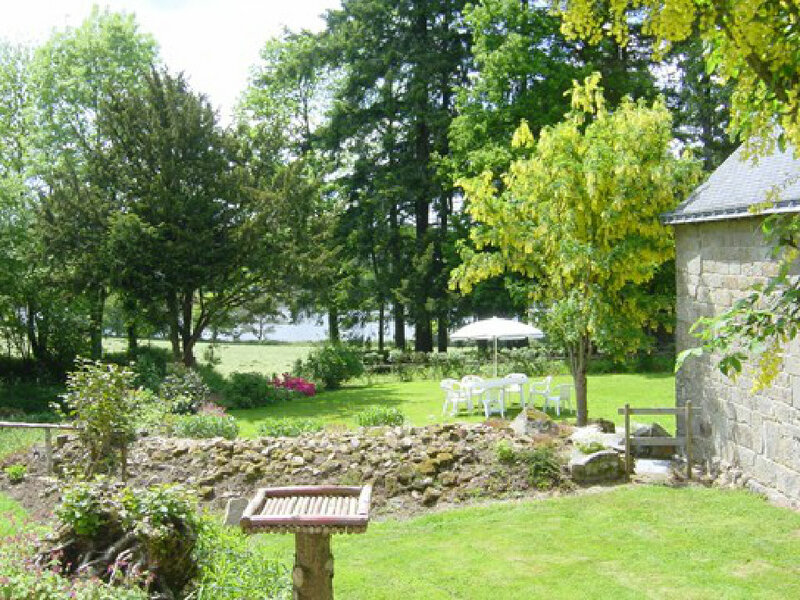 Outside: the house has its own private garden with BBQ and garden furniture. 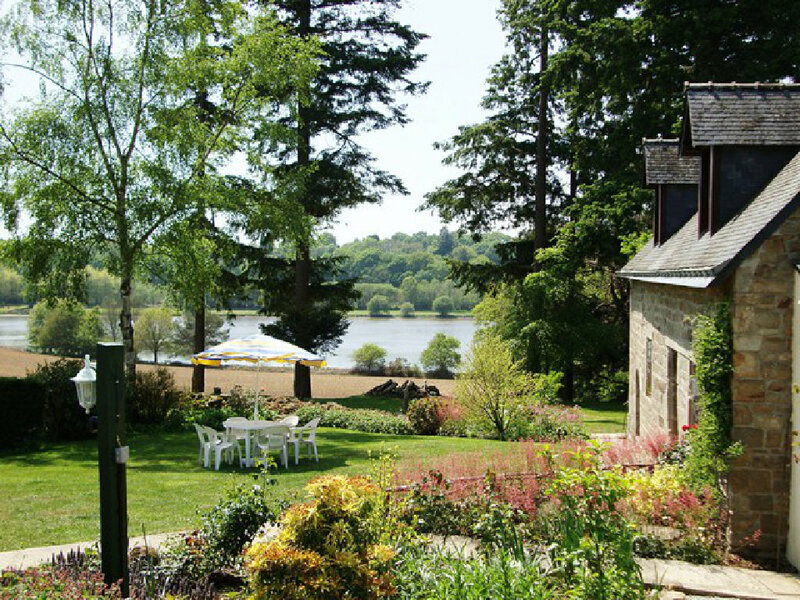 There is fishing at Lac de Dordu which is adjacent to the gardens and is stocked with large common carp, large pink, tench and perch. Fishing permits can be purchased from the owners on a daily or weekly basis which entitles fishing in all the lakes in Morbihan. 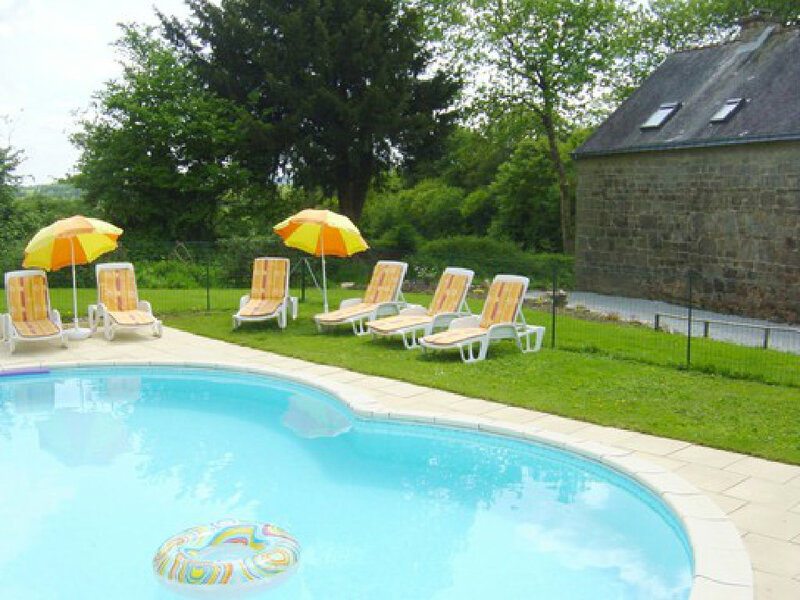 The 30`x 20`shared solar heated swimming pool (open mid-May – mid-Sept), has a surrounding patio and sun loungers. 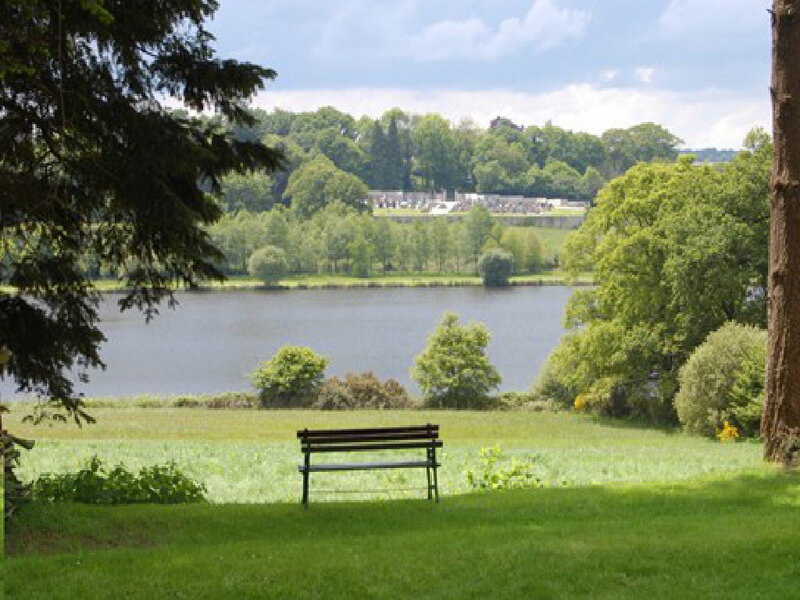 The extensive grounds afford the opportunity for quiet relaxation and contemplation. 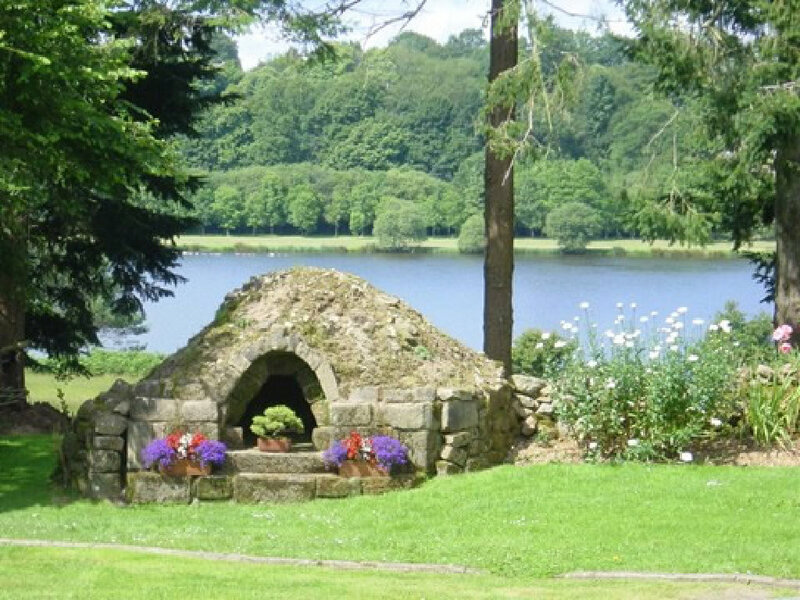 The gardens are well stocked and attractive with a added attraction of an original Breton Bread Oven. Guests can enjoy a quiet game of boules; explore the surrounding countryside on our cycles or on foot.